Thinking about the next steps after retiring? You may be wondering what to do with your life and how to keep yourself occupied. There are a variety of ways to keep busy now that a 9-5 is no longer a part of your schedule. One of the most encouraging ways to lead an active lifestyle is to live in one! 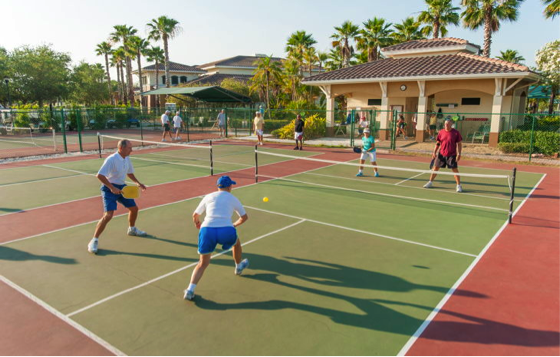 Moving into an active adult community can reap great benefits. Your health – When making the transition to an active adult community, such as Sun City Center, you will find a variety of amenities including outdoor, indoor, & aerobic heated swimming pools, hot tub and fitness center to keep you on your toes. Sports venues like tennis courts, basketball courts and golf courses are readily available for daily use, thus playing a great part in your daily health. Make new friends – Not only is it extremely important to maintain a healthy physical lifestyle, but being emotionally healthy is essential as well! Being surrounded by positive individuals and people with similar interests can be a great impact on your health! Worry-Free Maintenance – In all of our Minto communities, including our “55 and better” communities, we strive to provide you with our worry-free maintenance program, MasterCareSM. Our MasterCareSM program is designed to make everything about owning your new Minto home thoroughly enjoyable. Not just when you purchase, but long after you’ve moved in! Peace of mind – Living in an active adult community can be both peaceful and enjoyable! Revel in tranquility and peace, while exciting activities are there for you to choose when you are so inclined and feeling up to it.